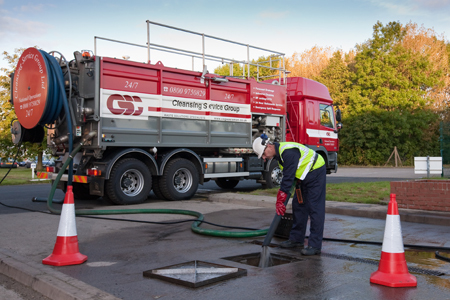 Bath & North East Somerset Council has awarded waste managers Cleaning Service Group (CSG) a three year contract to provide drainage waste and interceptor maintenance services at the council’s Household Waste Recycling Centres (HWRC’s), a waste transfer station, and refuse and cleansing depots. The interceptors, which protect the environment from possible polluting oil and other contaminants, will be emptied on a regular basis by one of CSG’s fleet of specialist tankers and transported to the company’s Bristol depot where the oil and water will be separated. The oil is treated for re-use as a low grade fuel and the water processed to allow discharge into a sewer. All the equipment and services provided by CSG comply fully with relevant EU and UK waste handling and disposal regulations. The Council’s three HWRC’s at Bath, Keynsham and Midsomer Norton serve a population of around 180,000 and currently recycle about 75 percent of the waste brought in by the public.